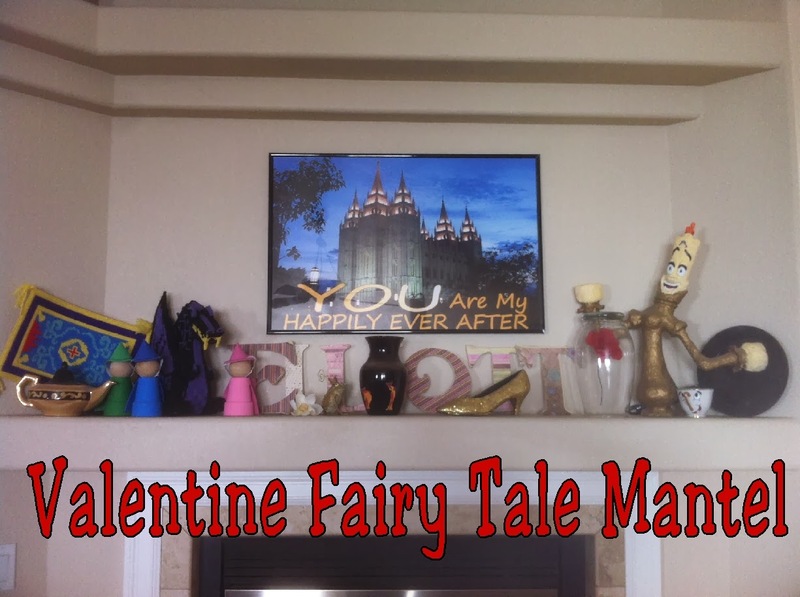 Valentine's Day is almost here, so I wanted to share my Valentine Fairy Tale Mantel with you. As you know, I've been working with a fairy tale theme this year for Valentine's day. After all, what could be more romantic than a Happily Ever After? Isn't that what most little girls dream of for their life? Most of these fairy tale projects were DIYs that I completed for my daughter's Disney Princess fund raiser for our church's girls camp last year. I loved how they all turned out, so I kept them and use every excuse I can to pull them out and put them on display. As usual, in the center of our mantel decoration is our family name letters. Above that is my interchangeable picture frame. I filled the frame with a picture of the Salt Lake LDS Temple. 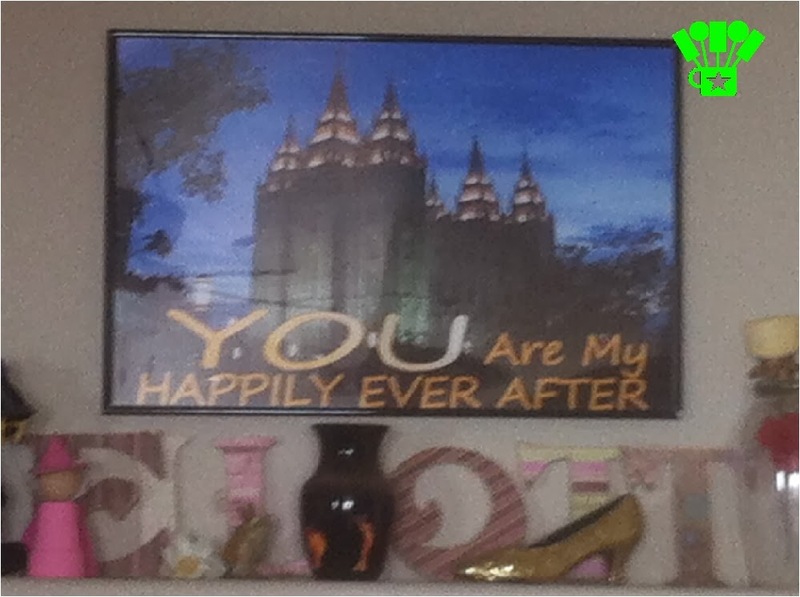 I had it printed at my local Walgreens during a 40% off sale and added the saying "YOU Are My HAPPILY EVER AFTER." 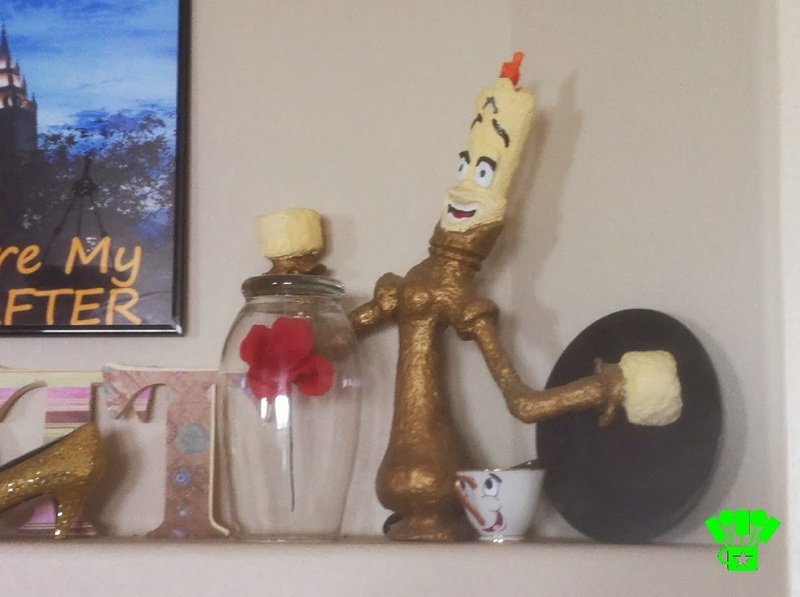 Under my picture frame sits my Hercule's Muse Vase, Cinderella's slipper, and the Frog Prince that I found at my local Goodwill. 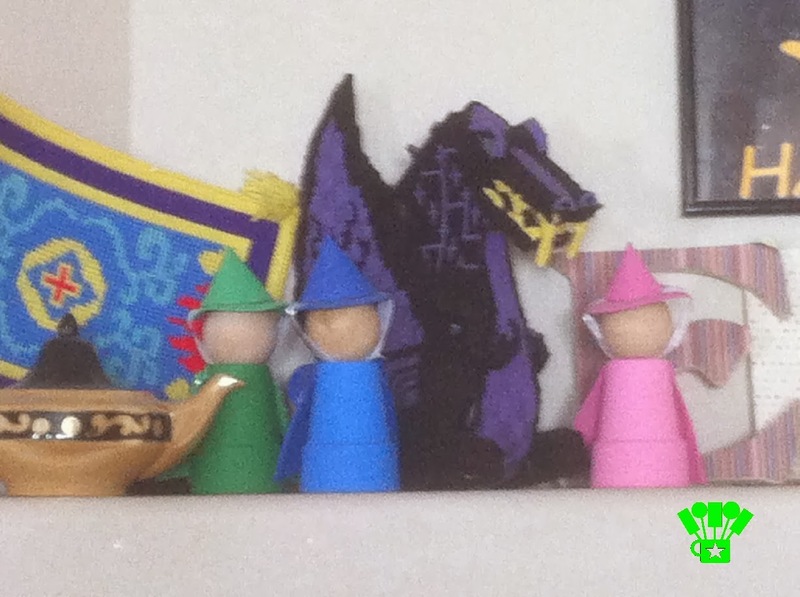 On the left side sits Aladdin's magic carpet, his magic lamp, the three good fairies from Sleeping Beauty, and Maleficent the dragon. 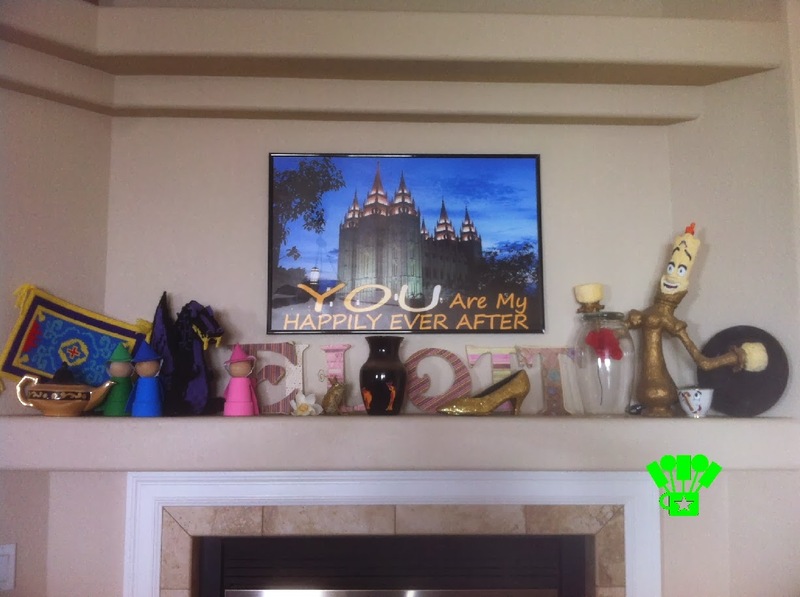 I am really excited about how my Valentine Fairy Tale Mantel turned out. It really puts me in the mood for some magic and happiness in my home this Valentine's day.